Females young and old, beautiful and plain crave Valerian's touch. None can resist his blatant sensuality and potent allure…until he steals Shaye Holling from a Florida beach and holds her prisoner in his underwater kingdom.The cynical Shaye wants nothing to do with the mighty warlord, but she's inexplicably drawn to him. For underneath the warrior's arrogant beauty lies a complex and powerful man. A man whose caress is like fire…Now Valerian must fight for the privilege of claiming her as his own. Because there's one thing Shaye doesn't know….That when a nymph discovers his true mate, she's his for life. Valerian, the King of Nymphs is a purely sexual creature that emulates sensuality at its best. He has recently regained the palace from the Dragons. When he is training with his men, he realizes how weak they all are. Since there aren’t available women around, that can cause disaster among Nymphs. Nymphs need to be intimate often with women to keep up their strength, its vital for their survival. So he decides that they must go to the surface and bring down human women. Shaye Holling is attending her mother’s wedding, her sixth one. Shaye has never been close to her mother, she has had numerous amounts of boyfriends and husbands, and not one of those relationships lasted. Shaye is content with living single the rest of her life, rather than endure the heartache and pain that comes from a intimate relationship with someone. Then six handsome and sensual men come out of the water, and walk toward the guests. Shaye is captivated by the leader Valerian. However, she is able to resist his charm that obviously comes with him being a Nymph. Shaye is almost appalled when she she so many women around her fawning over these males as if they are gods needed to be worshiped. Valerian is surprised that there is one woman that is able to resist his sensual promises and charm. No woman has ever dared to do so. Thus he takes her under the water, against her will, knowing that she is his one and only mate. That she is the one that he will spend the rest of his existence with. At first Shaye believes that when she is dragged under the water that he means to kill her, but then she is taken to Atlantis the home of mythical creatures. Valerian than goes about trying to convincing her that she is his mate, and that her life will be on Atlantis and she will never return back home. Even though she isn’t close to her family, she worked hard to create a life for herself. She continues trying to get back, but despite all her protests, she finds her resolve weakening toward Valerian. That she might actually fall in love with this utterly captivating Nymph King. This is the first book that I have read from Gena Showalter, and have decided that for sure she is one of my favorite paranormal authors so far, at the top of the list. I have a love for mythology and especially for those surrounding Atlantis. Gena Showalter made the myth become reality of Atlantis. I loved really the whole plot and story line to this book, it definitely is the type of book that I love to read!!! I couldn’t put it down, I had it read in a couple of hours. I also loved both the main and sub characters, it also had a sub plot with Valerian’s cousin and a woman who was as resistant to the Nymph Charm as Shaye was. So that was also fun to get into as well. 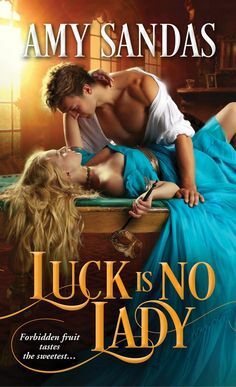 These pages were filled with adventure, romance, magic, exciting plot, and a love between this couple that will captivate your heart.The cover alone, was what really drew me in, I mean how can one woman resist such a epitome of sensuality right? Its at the top of my list of my favorites, and one I could re-read, so bring on the rest of the series, I can hardly wait for more adventure and passion!! !